North Lake Tahoe Log Cabin Charm in the heart of Tahoe City. This home been fully remolded, new kitchen, bathrooms, new bedrooms, in keeping the original 1920's mountain appeal. “Mountain Ash” an original Lake Tahoe Log Cabin built in the early 1920’s, was saved from collapse by a creative builder with talent and a vision. In 2013 the cabin was lifted to accommodate a rock foundation, the log walls were all freshly chinked, the beams all sanded down, wood windows and hydronic floor heat were added to create this cozy one of a kind space for a living and dining area. A new wing was added to the cabin during the renovation to accommodate a new fully equipped kitchen, 3 comfy bedrooms and two contemporary bathrooms. There is a fenced yard landscaped with native vegetation, a large lawn and a BBQ area. If you are looking for a home with an authentic and relaxing Lake Tahoe Mountain feel– this is your place! 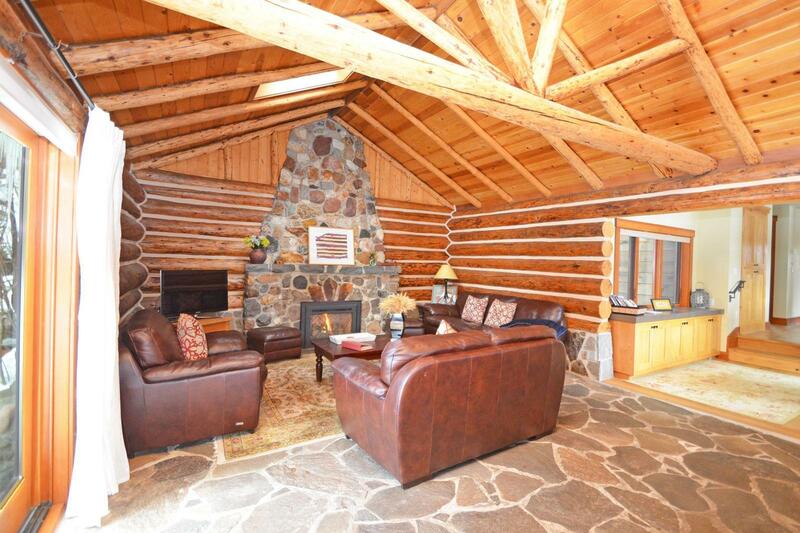 Classic Lake Tahoe Log Cabin charm yet modern, warm and welcoming. Mountain Ash Cabin is located directly in Tahoe City, on the North Shore of Lake Tahoe, offering the convenience of not having to drive to the beach, shopping or restaurants. Bike trails start a block away and The Tahoe Rim Trail Head is just up the road. The ski resorts Alpine Meadows and Squaw Valley are about a 15 minute drive and Northstar is about a 30 minute drive. The Tahoe City Winter Sports Park is a few minute walk for ice skating, sledding and XC skiing. For the adults, gaming and late night activities can be enjoyed just 20 minutes away at the Nevada Stateline casinos.